There are seven essential wearable EDC survival gear items to consider making part of what you carry all times. The main factors that determine what a person carries is location, experience, and necessity. The everyday gear that you take is as simple as what is on the body like watches or items in pockets. By contrast, EDC survival items can be the more sophisticated gear that you place in the bag, pack, or briefcase that you carry to school or work. However, there are a few essential items that one should consider having on your person regardless of location, experience, and necessity. What are these seven essential EDC items that one should wear or carry at all times? The first survival item to consider carrying on you at all times is some type of flashlight or microlight. Flashlights come in many sizes and configurations. The best EDC flashlight is one that you can place in your pocket. One of the best flashlights to consider is the Nitecore MT1C Flashlight. You can buy this item at the Sigma 3 Survival Store. This flashlight comes with a pocket clip and is roughly 3.5 inches long. It will fit in most trouser pockets or leg cargo pockets. This flashlight can also fit in the shirt pockets of most outdoor or tactical shirts. However, there is another type of flashlight to consider. Another type of flashlight to think about is the microlight or micro-flashlight. These kinds of lights are sometimes called keychain lights. One recommended microlight is the LRI® Photon Micro-Light with a Covert Nose. This light is one that I personally own and is in the EDC survival kit in the cargo pocket of my pants. The second type of microlight is the ThruNite® Ti3 EDC Cree flashlight. This light has a pocket clip and is about 2.75 inches in length. Microlights are very versatile and convenient to carry on a daily basis. What is the next survival item to carry daily? The next survival item to carry daily is a lighter. There are many types of lighters on the market. The most recognizable is the Bic® lighter. This is a disposable butane fluid lighter. These lighters come in two basic sizes: the classic and mini. The mini Bic lighter is a favorite to carry among those who do not smoke tobacco products. Another iconic butane fluid lighter is the Zippo® lighter. The lighter fluid in the Zippo lighter can be replenished through a cotton felt pad in the bottom of the lighter case. The main reason for carrying one of these kinds of lighters as an EDC item is their reliability. The Bic and Zippo lighters will function under most circumstances encountered on a daily basis. What about tools? The first tool to consider carrying every day is a multitool. Multitools come in various sizes and configurations. The two most reliable multitools are those manufactured by Leatherman® and Gerber®. I personally have owned both Leatherman and Gerber multitools, and each is quality tools. However, I would recommend the Leatherman® Skeletool™ multitool for EDC purposes. It is the right size for carrying on a daily basis without the bulkiness of the Leatherman® Wave™ or Gerber® MP 600™. Yet, the Skeletool offers the same versatility as its larger counterparts. The second tool to think about carrying every day is a pocket knife. There are many opinions about pocket knives and other folding blade knives. A pocket knife does not have to be an elaborate tactical folder for EDC purposes. The intent for pocket knives is that they are tools and not weapons. There are folding blade knives that function more as weapons than tools. The classic stiletto switchblade knife is an example of a folding knife being a weapon and not a tool. Furthermore, pocket knives come in many sizes and configurations. The most straightforward pocket knife has a single blade, such as the Gerber® Paraframe™. Most pocket knives have, however, at least two blades, one small and one large. Pocket knives can have various blade shapes. The most common blade shape is the drop point and clip point. There are pocket knives that use 1095 high carbon steel in their blades. The Bear & Son C205 Heritage, Walnut Midsize Lock back Folder, is an example of a pocket knife using 1095 high carbon steel in its blades. These kinds of pocket knives are excellent for bushcrafting and other outdoor applications. However, some of the best makers of pocket knives are Victorinox® and Case®. The recommended pocket knives to carry on a daily basis are the Victorinox Swiss Army Farmer or the Case 6.5 BoneStag® Medium Stockman. These knives have blade lengths that are legally compliant most anywhere. They need minimal maintenance and will do most cutting jobs, such as cutting cordage, making a trap, stripping wire, cutting bandages, box cutting, or letter opening. The Swiss Army Farmer has more features than the Case knife, such as a saw and awl. The final survival gear item to consider wearing on a daily basis is a solar battery powered triple sensor watch. A good watch is a valuable piece of gear to wear every day. A triple sensor watch has the features of an altimeter, barometer, and a digital compass, hence ABC. The barometer on these kinds of timepieces gives the current temperature when this feature is engaged. The solar battery that characterizes these outdoor watches keeps the watch working all year in all types of weather. The compass on this type of wrist watch is helpful because you do not have to worry about ambient magnetism affecting its reading. For example, the metal from your belt buckle or wedding band will not influence the direction given by the watch as it would your lensatic, baseplate, or wristband compass. Furthermore, the best solar-powered triple sensor watches on the market are the Casio® Pro Trek™ Pathfinder™ PRW2500T-7 and PAG240T-7. These watches come with a titanium watch band. This watch band is excellent for rugged outdoor activities. Additionally, the more sophisticated smartwatches are great but have their limitations because of the need to update their software periodically. These two Casio watches can be worn every day in every situation. The solar-powered triple sensor wrist watch is an essential survival gear to wear on a daily basis. The final item to consider carrying at all times is a tourniquet. These used to be cumbersome to carry so most were stored inside of bags or packs. However, in recent years, manufacturers have started making belt pouches to hold a tourniquet. Blue Force Gear® and Rescue Essentials® sell tourniquet pouches that can be worn on a trouser belt or mounted on MOLLE gear. There are several versions of tourniquets on the market. The two most common are the combat application tourniquet (CAT) and the rapid application tourniquet (RAT). There is a third option available called the ratcheting medical tourniquet. This seems to be growing favorite tourniquet among emergency preppers and SOF personnel. Therefore, carrying a tourniquet should be considered as part of your wearable EDC survival gear. 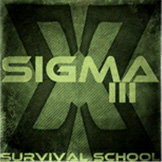 The post 7 Essential Wearable EDC Survival Gear Items appeared first on SIGMA 3 Survival School.